Activist Frank Matthews says Davis is a Birmingham native and deserves an award named for the late Fred Shuttlesworth, who once led civil rights demonstrations in the city. The mayor has said the award is being rescinded because of complaints from the area Jewish community and its allies. Davis is an outspoken supporter of a movement targeting Israel's treatment of Palestinians. Mayor Randall Woodfin has said he was "dismayed" by the decision to take the award away from Davis. 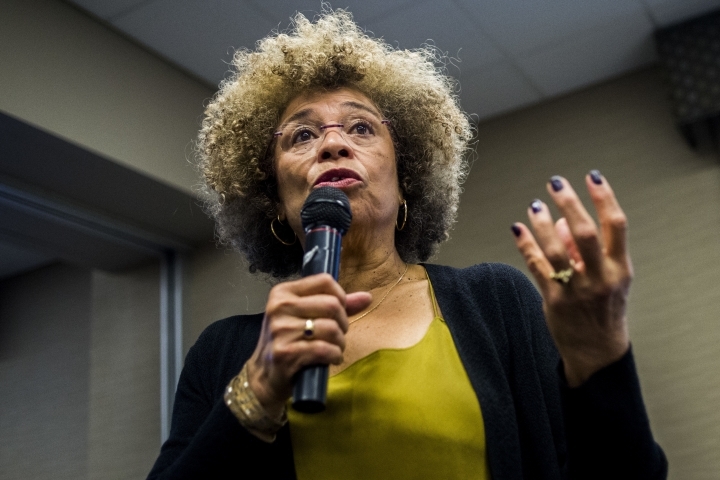 The Birmingham Civil Rights Institute in Alabama has rescinded its decision to honor political activist and scholar Angela Davis following unspecified complaints. Davis is a Birmingham native who has spent decades fighting for civil rights. She was an active member of the Black Panther Party, Student Nonviolent Coordinating Committee and Communist Party USA. The institute announced Saturday that an examination of Davis' statements and public record concluded that she didn't "meet all of the criteria" for the Fred Shuttlesworth Human Rights Award. The statement didn't indicate what criteria it found Davis didn't meet or the origin of the complaints. But while expressing "dismay" at the decision, Birmingham Mayor Randall Woodfin cited protests from the "local Jewish community and some of its allies." Davis has criticized Israel's treatment of Palestinians.